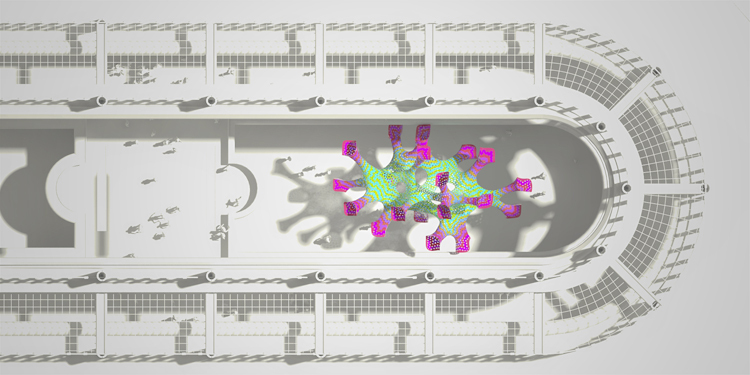 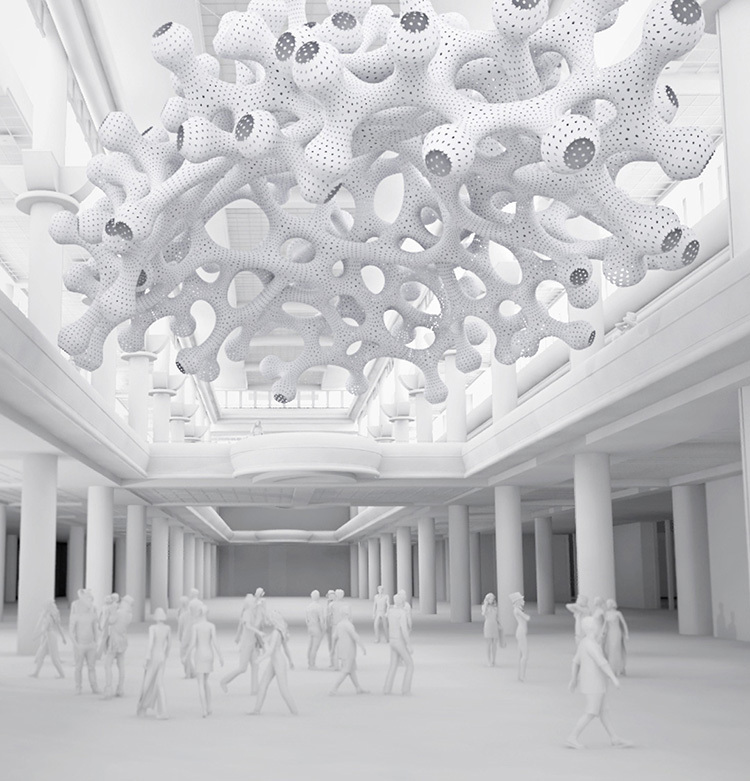 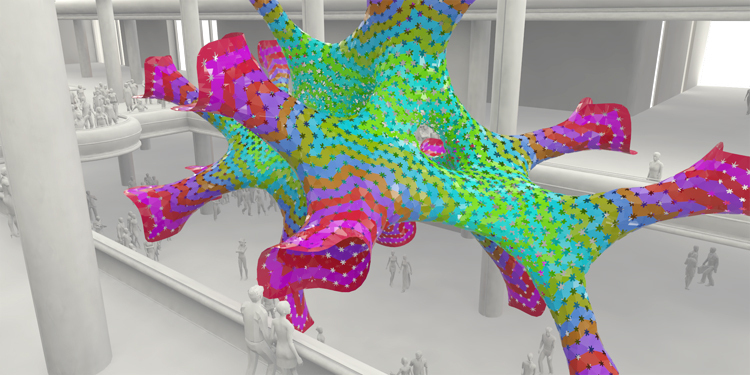 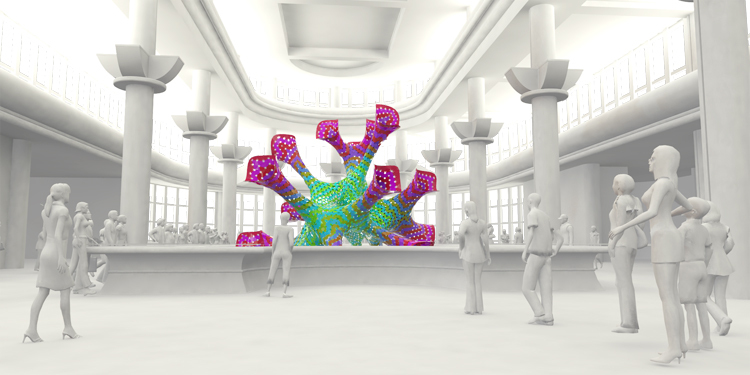 This project is the latest step within the development following Marc Fornes invention on "Computational Mesh Walking as structural Stripes". 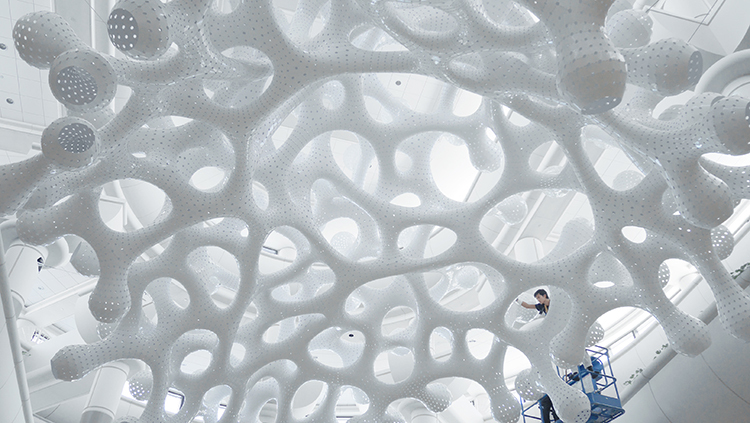 It is also the largest to date as permanent structure. 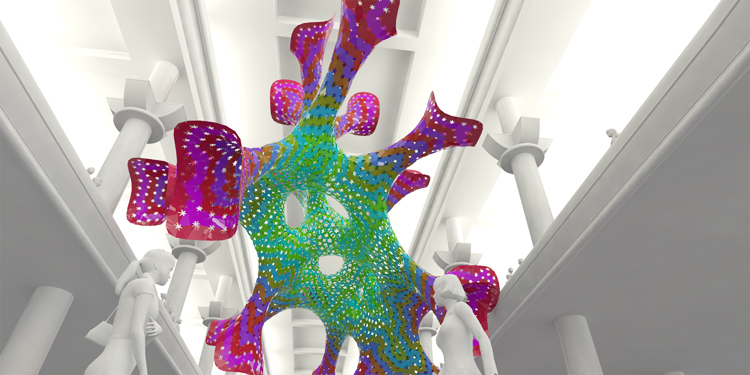 Walking on one Millimeter: this project is challenging the heritage of Frei Otto (German Architect and Structural Engineer) by the use and developement of what we define as Intensive Curvature (as opposed to Extensive Curvature). 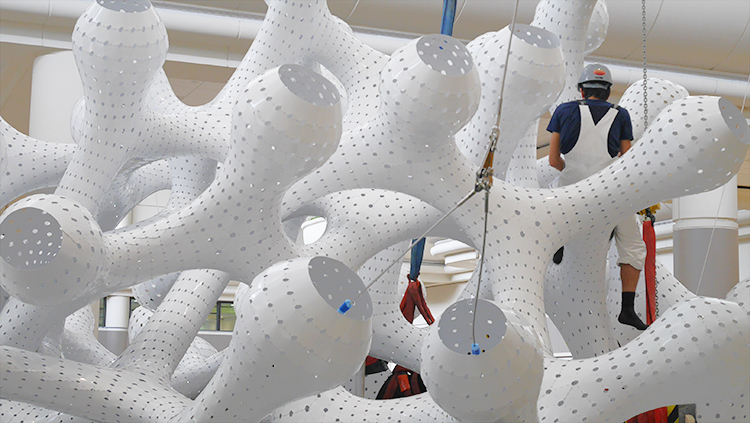 Extensive Curvature: maximizing global double curvature to increase structural performance (as demonstrated through the research of Frei Otto). 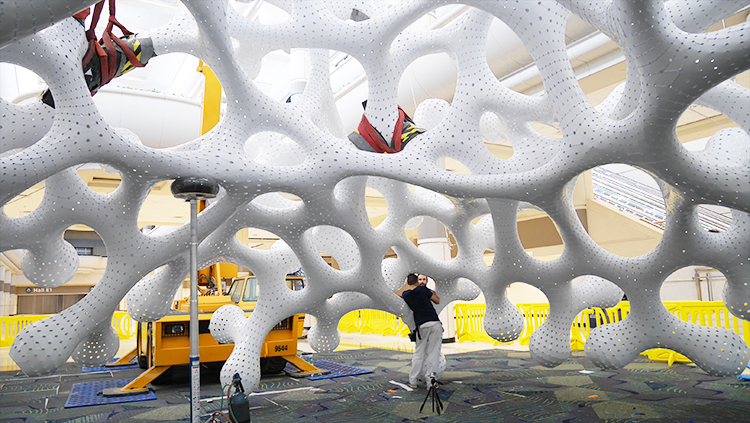 Intensive Curvature: maximizing double curvature while constraining maximum radii (premise of research within the work of MARC FORNES / THEVERYMANY). 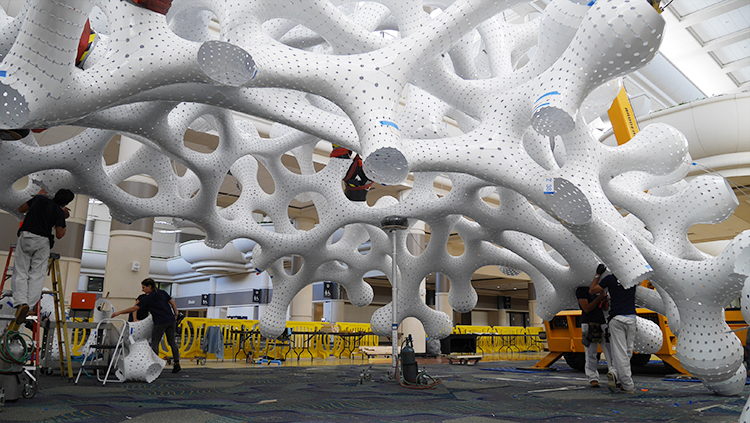 Design Development in progress on a 48' x 35' x 26' distributed network that will hang within the concourse of the OCCC, altering the experience of the massive space by creating a lower sub-ceiling. 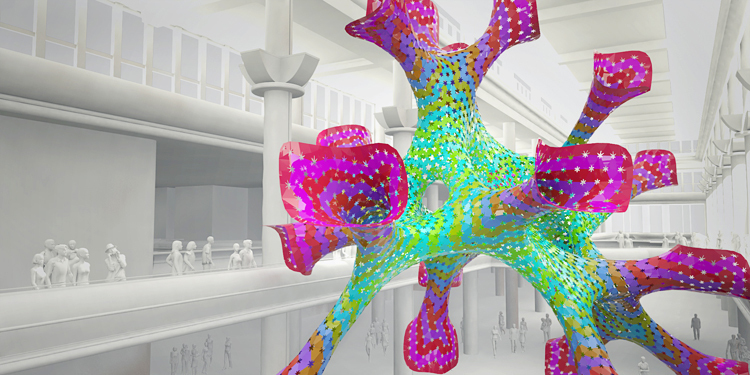 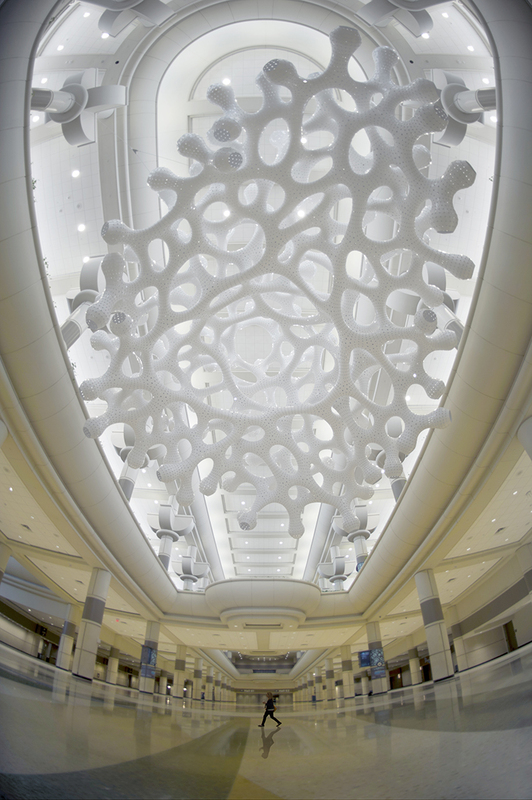 The permanent structure will act both as a curious signal and a place for visual wandering.